Immigration Resolution Now Criticizes "Amnesty"
UPDATED: Months after it was first drafted, a resolution seeking to inform Congress that Texas supports efforts to overhaul the country’s broken immigration system has been changed to gain support from Texas Republicans. The House State Affairs Committee gave preliminary approval to HCR 44 on Thursday evening. It passed following an 8-2 vote. Earlier, state Rep. Jason Villalba, R-Dallas, said that in addition to adding language that specifically criticizes amnesty, the text of the original resolution was also changed to favor a path to “earned legal status” and not citizenship. In order to be considered by the full House, the measure must appear on the House calendar by Tuesday. Hoping to win conservative support, legislators have added stronger opposition to amnesty to a resolution urging Congress to reform immigration laws. 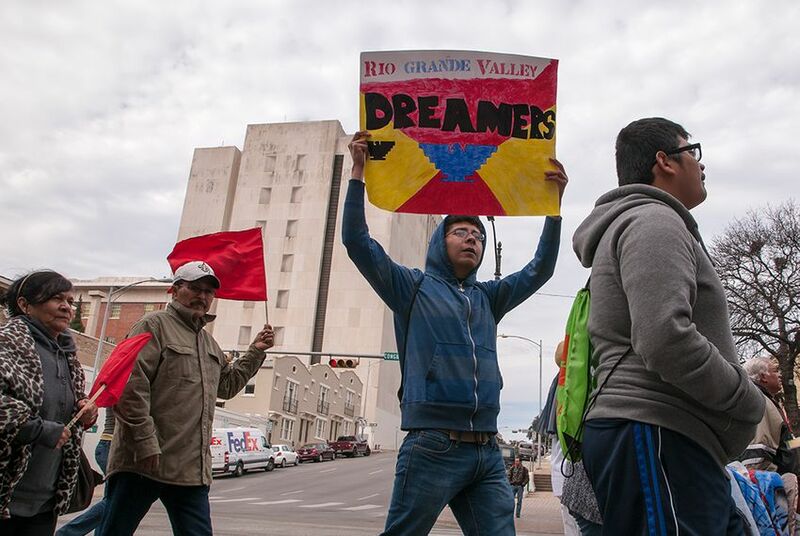 House Concurrent Resolution 44, by state Reps. Ana Hernandez Luna, D-Houston, and Rafael Anchia, D-Dallas, was initially drafted in February but finally got a hearing from the House State Affairs Committee late Wednesday. “I feel that we are at a point where immigration reform is imminent and Texas should be speaking with a strong voice on this issue,” Anchia said. “Texas has as much to gain with comprehensive immigration reform as it has to lose” without it. Initially, the nonbinding resolution included key talking points from Republican groups that urged reform, including the Cato Institute and the Partnership for a New American Economy. Language citing a 2006 study by the state comptroller, which showed that deporting millions of Texans in the state illegally would have resulted in a loss to the state’s gross domestic product of $18 billion, was also included, as were statements of support for immigration reform from former state Reps. John Garza, R-San Antonio, and Raul Torres, R-Corpus Christi. Those are still in the measure, but Anchia said it was necessary to change some of the language due to what he said was conservative opposition to anything hinting at amnesty. “Nobody in this House supports outright amnesty but rather an earned legal status,” Anchia said. The committee substitute that went before the committee included additional language that admonished the most recent reform proposals for not preventing future illegal migration. “Solutions that provide for blanket amnesty, such as those presented in the Simpson-Mazzoli Act of 1986, encourage future violations of the law and should be excluded from the panoply of options to be considered by the United States Congress,” the resolution now states. The language was included with help from state Rep. Jason Villalba, R-Dallas, who worked with Anchia to draft a resolution more palatable to House Republicans. Bill Hammond, the president of the Texas Association of Business, said supporting the reform effort was timely, and would also address one of the key concerns many stakeholders have. The committee didn't vote on the resolution. Chairman Byron Cook, R-Corsicana, expressed his appreciation for Anchia and Hernandez’s efforts, but also expressed doubts about Congress’ ability to act.